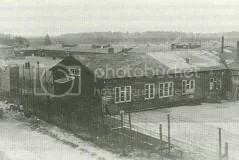 Compared with other concentration camps, Kamp Amersfoort was a small and makeshift affair. In operation from 1941 until the end of the war, it was run not by the military but by the German police. Neglect, starvation, maltreatment and murder marked the lives of over 35,000 prisoners who – in the course of two separate periods of the war – were held here for a brief or extended time. My father Teunis Van Der Tuuk was a prisoner of Amersfoort, he was taken by the germans from his bed in the early hours of a cold winter morning, he had no shoes or warm clothing, he had to walk through the township to the camp, the ground was covered in snow. When he got to the camp he found 2 of his brothers that everyone thought were dead i.e. Bart & Pieter Van der Tuuk. Dad escaped from Amersfoort with help of underground and later his brother Bart also escaped, Pieter remained at the camp until the end of the war.